New hall for events the Menorah Cafe is conveniently located on the second floor of the Menorah Center. 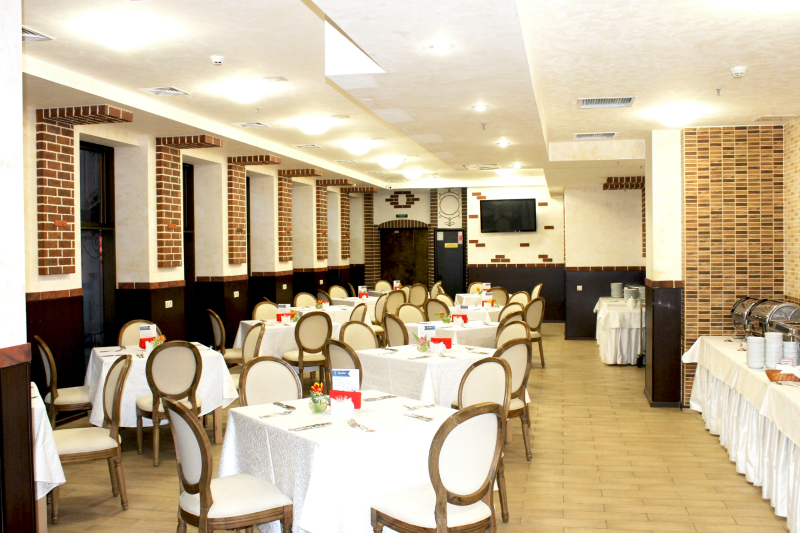 Here one will find a special atmosphere of comfort and harmony and, of course, the abundance of delicious dishes. 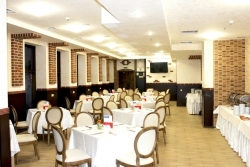 The Menorah Cafe offers Slavic, European, Caucasian and Jewish cuisine. 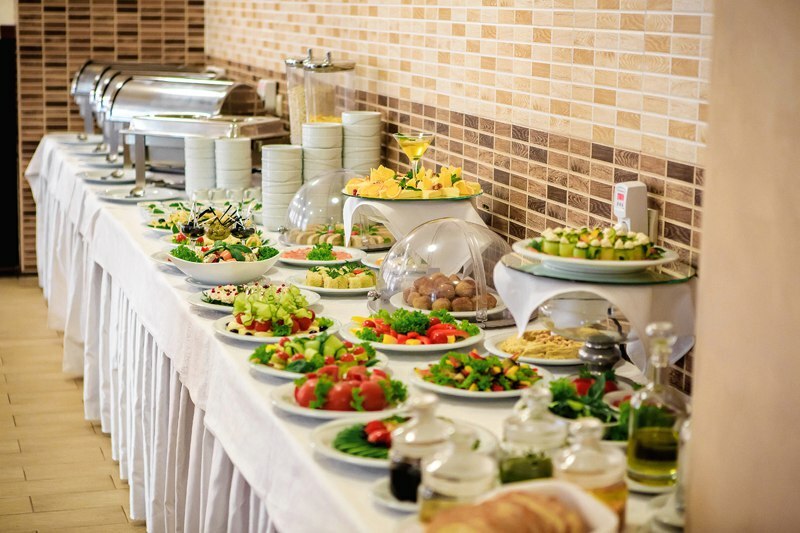 All dishes are prepared in compliance with kosher requirements from high-quality natural products grown in Europe and supplied specifically for the Menorah Center. The overall flavor of the Menorah Cafe’s interior is in classic style; it’s reserved and respectable: a spacious hall, brick texture walls, furniture of natural colors, the projection of old facades on the panoramic windows make the Menorah Cafe unique from any other institution at any time of the day. 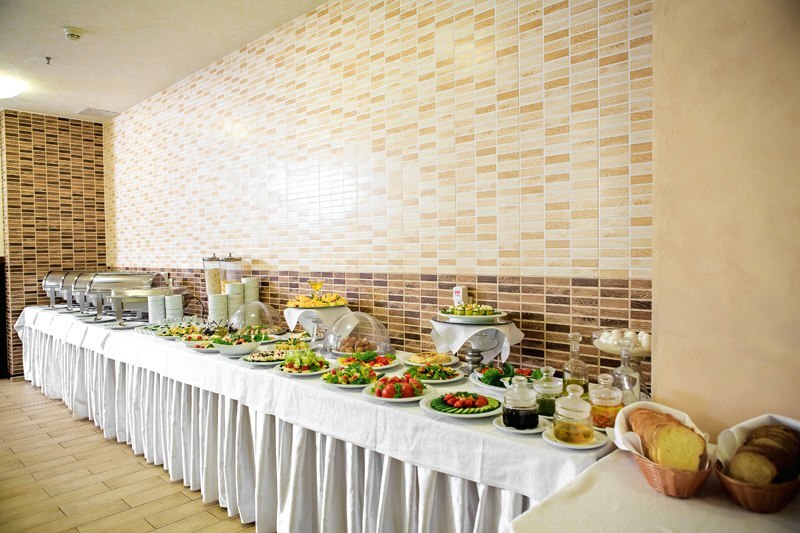 The hall of the Menorah Cafe is perfect for celebrations, birthday, corporate or family parties for 80 guests or a buffet reception for up to 140 guests. 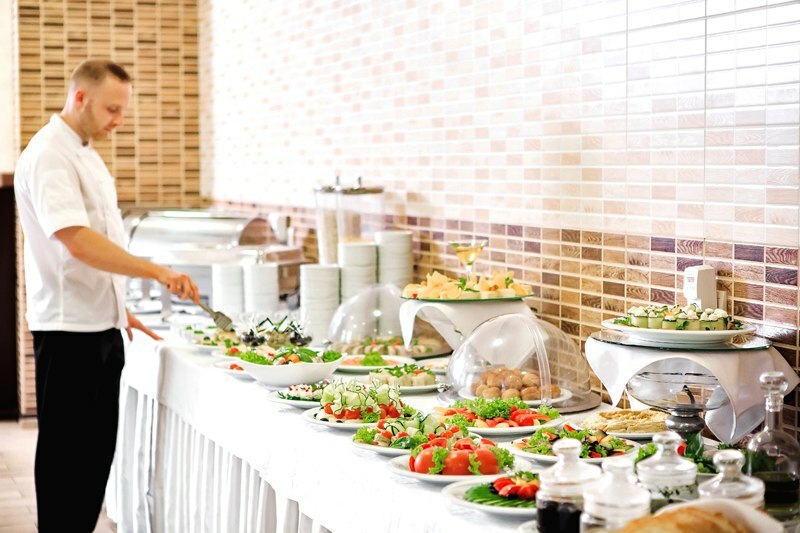 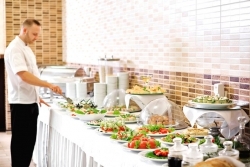 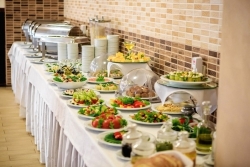 Our staff will help you create and choose the menu, take care of your event and the comfort of the guests. 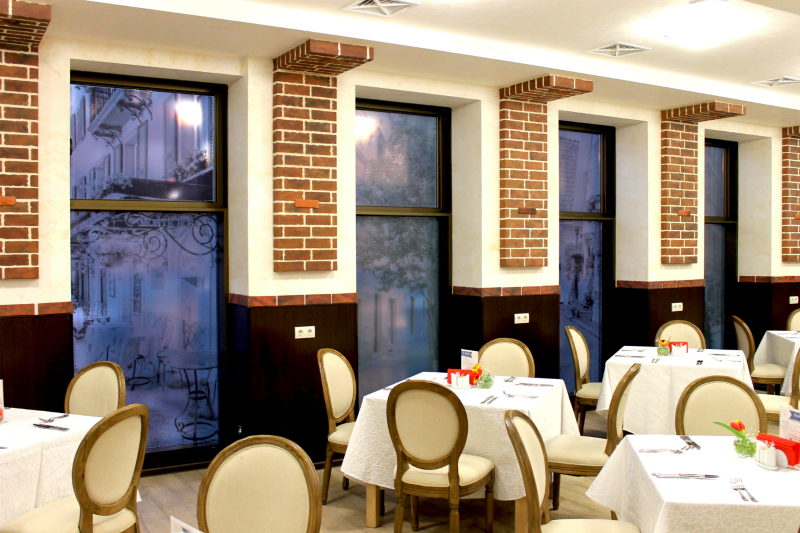 Enjoy the atmosphere of attention, care and hospitality that prevails in the Menorah Cafe!